The beauty and the magic of the setting will take you through an extraordinary adventure. Madagascar is one of the most popular fishing spots. 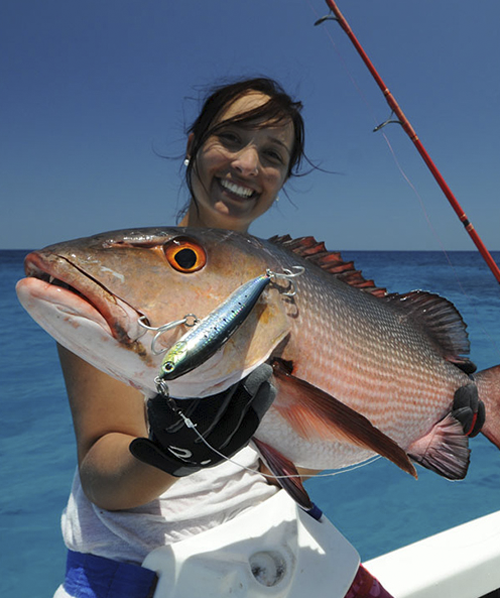 You can enjoy the numerous fishing spots located mostly in the northwest of the island. 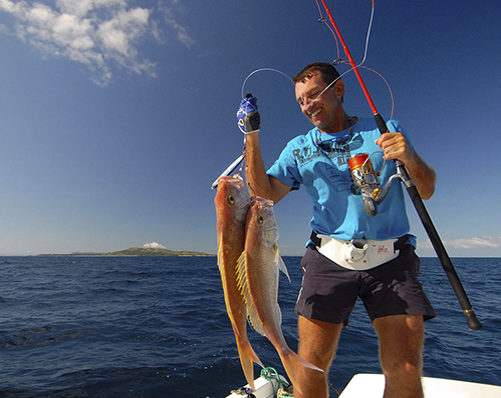 Nosy Be and its region is undoubtedly the hotbed for modern sports fishing. 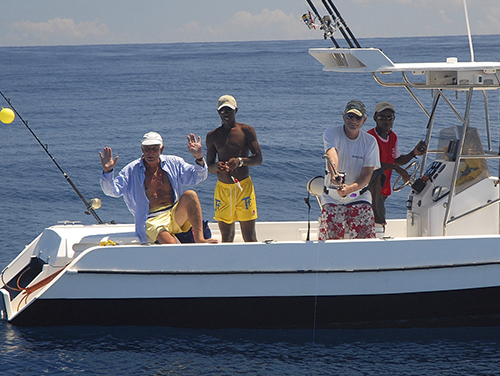 Depending on the tide, you can practice handline, trolling and coast fishing in a single day. 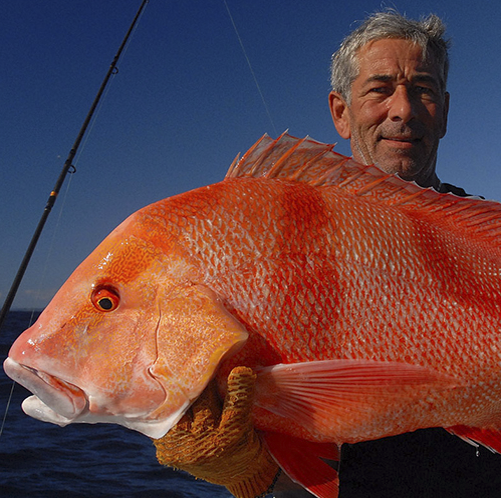 You can go on a sport fishing excursion and harpoon your best catch. 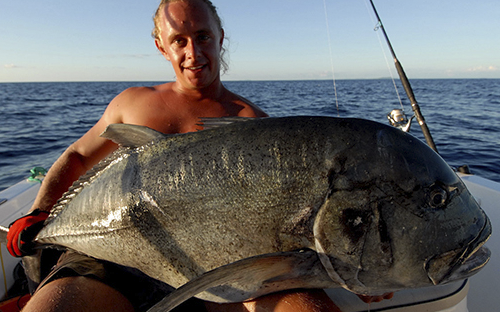 Madagascar is one of the world’s leading sport fishing destinations. The big island has one of the most fish waters of the planet. Warning to enthusiastic fishermen!!! 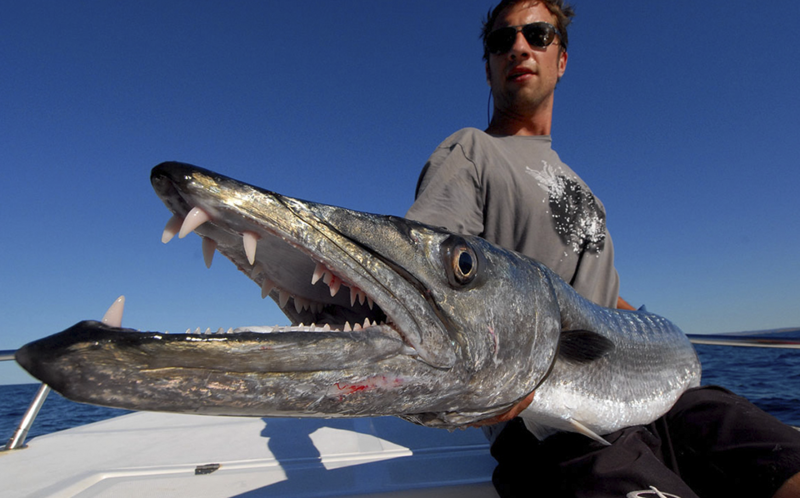 Sea creatures will test you to your limits well before you reach that of the local fishing potential. The most interesting catches are Yellow-fin Tunas (April-May), Barracudas (from September to May, with peaks in October and February), Bonitos, Dorados, Sailfish, Trevally Ignobilis, Dolphinfish, blue and black Marlins, two other species of Marlins, Wahoos, and dozens of species of sharks, including the dreadful Tiger shark. Fishing is carried out on a motorboat, or a modern boat with electronics equipment, or simply canoeing coastal residents. You can be accompanied by professionals or fishing-villagers. Whether as a beginner or an amateur, you can go on an excursion for an afternoon, or we can organize a fishing trip to Madagascar to discover for you the underwater wonders that live in these waters. Other than fishing, you can also sunbathe on white sand beaches, or dive into the crystal clear waters. Both beginners and amateurs will be pleased, with the enjoy of fishing in Madagascar. Alone, as a couple or in a group of fellow fishermen, come and experience the famous “Mora Mora”: a Malagasy way of life, which loosely translates into: “take your time to live”!! !